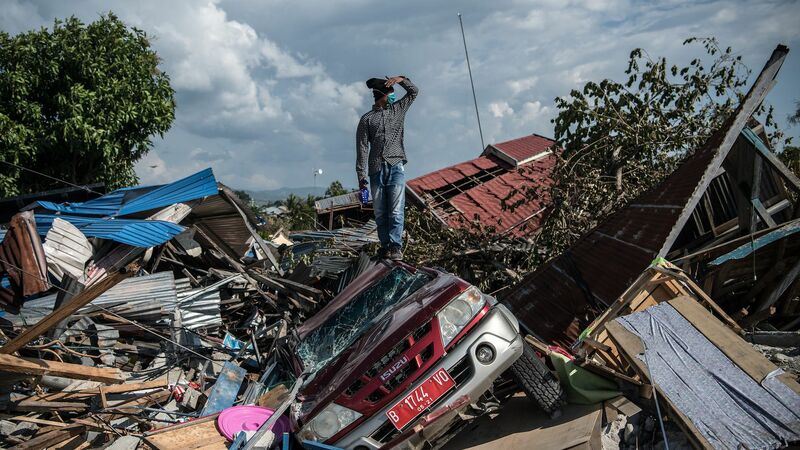 The scope from the damage of a 7.5 magnitude earthquake and subsequent tsunami that struck northern Indonesia on Friday and has killed more than 1,200 is becoming clearer now that satellite before and after photos have been released, and more aid workers are reaching the area. The big picture: From space, the effects of the tsunami are clear, as are the landslides and liquefied soil indicative of a large quake. The quake was centered northeast of the town of Donggala on the island of Sulawesi. It sent a powerful series of waves, estimated to measure at least 20 feet tall, crashing into the provincial capital city of Palu. That city is situated at the end of a long, narrow bay, a geography that likely acted to heighten the severity of the waves.